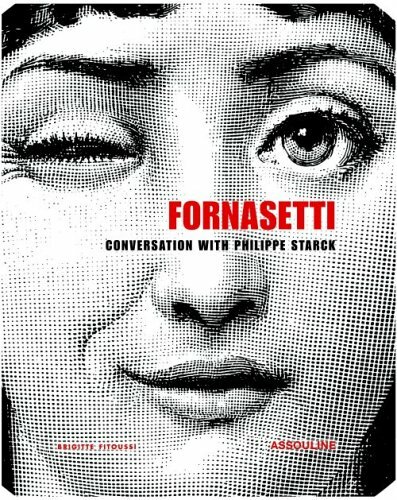 Piero Fornasetti was such a genius; as a painter, sculptor, decorator, engraver of books and a creator of more than 11,000 products nobody came even close to emulate his prolific career. His was long and fruitful, starting with his first body of works presented at the University of Milan in 1933 and ending in 1988 with his death at age 75. I'm particularly drawn to his "Tema & Variazioni" series where he used the enigmatic face of the opera singer Lina Cavalieri and turned it into more than 350 variations. I find that everything he did was chic and mysterious at the same time. The perfect combination for timeless pieces. 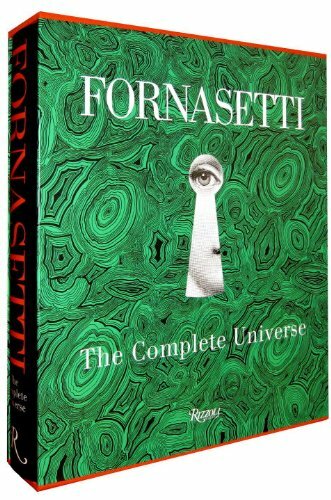 Luckily his son, Barnabas, has been able to perpetuate the extraordinary legacy that his father left and now the Fornasetti products can be found in several retailers in a much easier way than a few years ago. Below are the images of some of my own designs where I have used Fornasetti pieces. I have also found a terrific store in Paris that offers worldwide delivery and the prices, although not bargains, can be slightly better than some other retailers. Fonasetti pieces have been able to hold and increase their value for more than 25 years and are sought-after by collectors an auction houses alike. I think they mix perfectly well with contemporary art and design. A powder room with the Fornasetti wallpaper that Osborne & Little created using models of some of Piero's "Tema & Variazioni" pieces. This room has definitely its own personality. 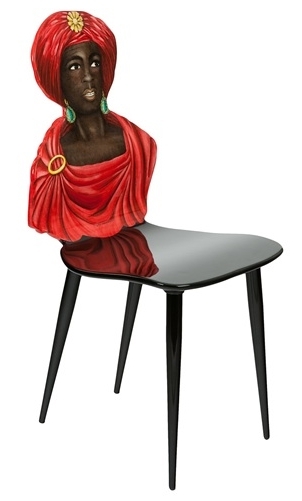 The Fornasetti Moorish chair, is a true piece of art. I paired it with a set of small gold and velvet ottomans, a white leather loveseat, a set of pillows including a blue Fornasetti one and a Hunt Slonem canvas. In a living room that I designed using warm tones and bold pieces, I added a Fornasetti "Bocca" wood stool from the "Tema & Variazioni" collection. I feel that the lips of the stool and those of the Marilyn piece by Warhol create a funky symmetry.